If you follow my blog you know I am a big fan of reading labels and avoiding harsh chemicals in products that you use on your skin and in the home. Even when most of the ingredients seem benign, fragrance is usually listed which can cause skin reactions and problems with your lungs. You can buy natural products or you could make them. What are the benefits of making your own products? You choose what goes into your products. You choose the scents of your products. It is fun to be creative and explore different recipes. It can be very economical. Who knows you may want to start a business. Jan Berry is the writer and photographer of the blog Nerdy Farm Wife and has recently released her book “101 Easy Homemade Products For Your Skin, Health and Home”. There is a great introduction to the different ingredients and their benefits. Jan also offers substitution tips and options for preservatives if you chose to use them. Jan is an avid gardener, you will learn how to store the flowers and herbs you grow. If you do not want to grow your own you can buy the ingredients, she has listed her favorite vendors. There is a lengthy index which makes it easy to find recipes and use certain ingredients. Lotions, scrubs, deodorants and balms just to name a few. Soaps-Soap making can be daunting at first but Jan makes it so easy. It is the only book I have come across where you can use ingredients right from your own garden which takes the worry out of pesticide use. Jan Berry is knowledgeable about the ingredients and the products she makes. Jan writes regularly for Hobby Farms and Natural Herbal Living Magazine. She has also been featured on a number of different sites. I was fortunate to ask Jan some questions, I think her story is inspiring. It is a story of following your heart, you never know where it may lead. How did you come to live on a farm? I’ve always lived in a rural area, but haven’t always been interested in farming. After my son was born, he had a lot of health issues that required us to completely re-evaluate our lifestyle. We began investigating growing our own foods, got a few chickens, planted a few tomatoes and it all snowballed from there! Why did you start making your own products? My son had so many allergies, I couldn’t find a soap he could use without breaking out in hives, so had to figure out how to make him one. The fumes from store-bought cleaning products triggered his asthma, so I had to learn how to make natural cleaners that didn’t bother him, but would still keep my house reasonably clean. 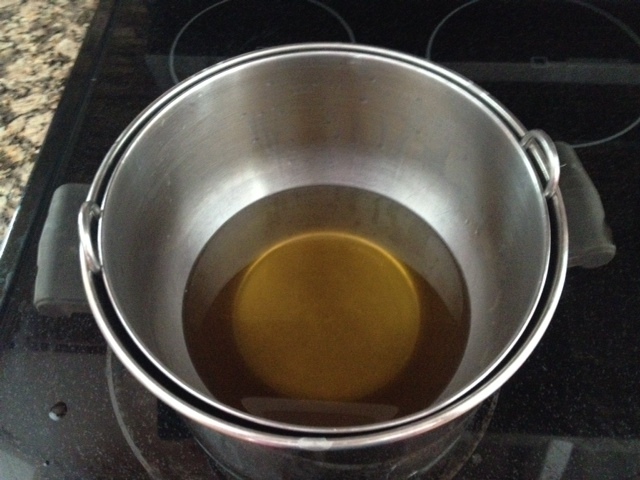 Commercially available lotions aggravated his eczema, so I had to figure out how to make an effective lotion without a zillion chemical additives. It was an incredibly difficult early childhood for him, but in some ways, our life was forced to improve for the better because of his illnesses. Thankfully, these days he’s a strapping almost 6 feet tall teenager that’s outgrown most of his childhood ailments. How did you learn about the different flowers and ingredients as well as what they can do? That came about after lots of reading and research. One of my favorite things to do is to pick something that’s growing in my garden, and then go over to Pubmed (http://www.ncbi.nlm.nih.gov/pubmed) to see what research has been done on that particular plant. I spend a lot of time in self-education, reading as many books and attending as many workshops, webinars and online classes as possible to continually expand my knowledge base. Several years ago, I became addicted to a popular online video game. It started out as an occasional stress-relieving hobby, but quickly took over more and more of my life. Eventually, I realized that I had to stop playing it completely to regain my time. The problem was, I had forgotten all of my past hobbies and was a little bit lost as to what to do next. A friend reminded me of the different crafts and things I used to make and suggested I start a blog. So, I did. At first, it was just random ramblings, but then I started sharing the things I was making. To my surprise, someone other than my sisters actually started visiting and it eventually turned into a full-time job and source of income. My ideas come from gathering the plants that are growing around my house, bringing them into the kitchen and then just experimenting in every way I can think of. After so many years of making products, I have some basic formulas memorized and I just plug the plant into them and see what happens. Sometimes I have epic failures, but sometimes it works! I also scour through scientific studies to see how the plants were tested. For example, I once read about an anti-aging cream made using basil extract and that inspired me to try to create one for myself. I’m also really inspired by family members. Quite a few have arthritic pain, so I’m always trying to make and improve upon salves and balms that can offer them some relief. If there’s one product people should make, what is it? Why did you write 101 Easy Homemade products For Your Skin, Health, and Home? While I use and enjoy eBooks myself, there’s nothing quite like having a physical book that you can hold in your hand. It’s been my dream for a couple of years now to have a way to get something like that out there for the readers who’d been asking, and I was so thrilled and excited when Page Street Publishing wrote to me about the possibility. Where can people purchase the book? How did you master photography? Well, I’m nowhere near the mastery part, but I do practice a ton. Every photo in the book is the result of hundreds of shots and several hours of adjusting and trying to get the light “just right”. Photography jargon doesn’t come naturally to me and no matter how much I read up on it, I still can’t tell you what an f-stop is! What works for me is a lot of stick-to-it-ness and not giving up until I get the shot I’m going for. You seem to follow your heart, is there any advice you can give to people listening or reading? My best advice is to not be afraid to think outside of the box or to question why? Or, what happens if…? Stop worrying about what the proper way of doing things is and forge your own path and opinions. Disclosure, I am an Amazon affiliate but would not be recommending this book unless I thoroughly enjoyed it…which I do. I have already purchased one to give away as a gift. If you want to try some great “Do It Yourself recipes”, this is a great resource. Jan knows her flowers well and gives so much know how tips with each of her recipes. It includes personal care products, household cleaners, and even dog treats. Body butters are moisturizing creams with a thick buttery consistency that nourish and moisturize your skin. Body butters are different than lotions usually they are thicker and do not contain water. Body butters are usually composed of oils. Because most body butters are primarily made from oils, a preservative may not be needed with some formulations. How to use body butter. Would you like to make homemade body butter? I am no pro, this body butter recipe is for beginners. The body butter recipe is made from shea butter and almond oil . 3/4 cup butter You can use shea , mango or cocoa butter. 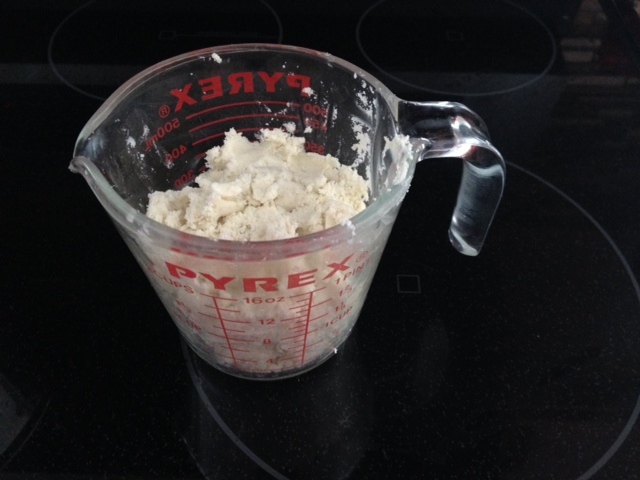 You can use just one butter or mix them together as long as the total amount is 3/4 of your ingredients. 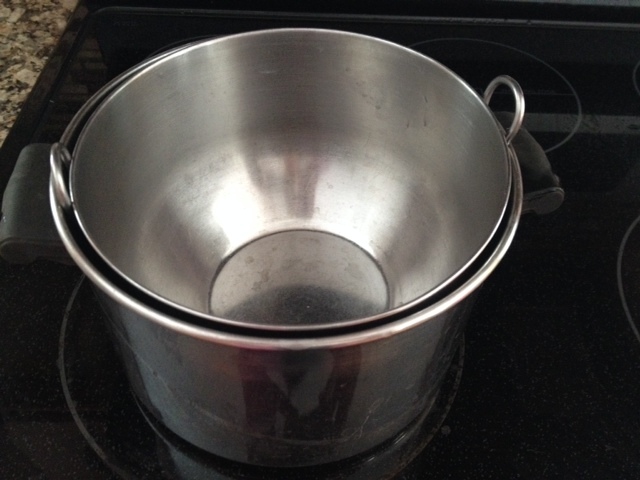 Place in a double boiler which are just two pots inside of each other. Heat the water in the lower pan but do not allow boiling. Ensure that water does not get into the mixture as this will allow for bacterial growth. Combine the oil and butter. Do not add essential oils at this point. All the butter should melt. Once the butter is melted it should look like this. Do not let this boil. Remove from heat and let cool in the refrigerator for an hour. After an hour remove from refrigerator when it solidifies. 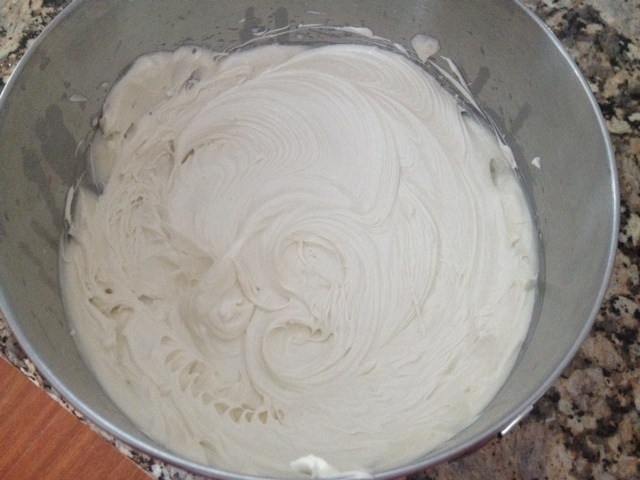 Use an electric mixer to whip the lotion to your desired consistency. Add essential oil at this time if you desire. This recipe is simple to make and allows you to avoid chemical found in some store brands. Be creative. You can package this in a nice jar with a pretty bow, it makes a great present that just about anyone can use (if you are not allergic to nuts). Remember there are no preservatives. Avoid getting water into the jar. If you are allergic to nuts, you should avoid the oils/butter that were mentioned. I love this book, this is a new release. I think Jan is a queen of Do It Yourself. The book has great images and easy to follow recipes. She offers a lot of tips and alternatives to the recipe. It is a simple recipe that is great for beginners. small jars with covers for storage. Be creative, little tins such as Altoids work well. You can slap purchase lip balm containers. Step 1-Place water inside the larger pot and place a smaller pot on top. You need an inch of water or so. just make sure when the smaller pot goes on top the water from the larger pot does bot splash over into the smaller pot.you do not want the water and oil to mix. 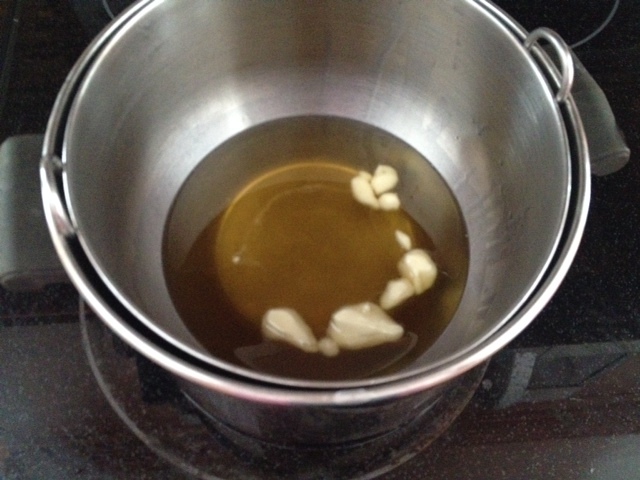 Step 2-Place cocoa butter, coconut oil and bees wax into the smaller pot and melt. Do not let the water boil. You can also microwave the ingredients. try 40 seconds at a time and lower amounts as the mixture starts to melt. Step 3-Pour into storage jars. You can get these at the dollar store or at amazon. Step 4-Let cool. As the lip balm cools it will harden. You know what goes into the products you are making. It is fun doing it. Do you make any personal care products?